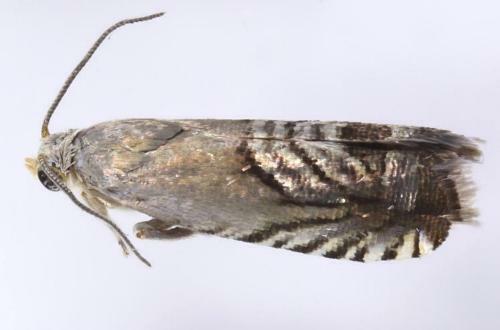 The adult moths of this species have grey-brown forewings that each have a radial series of black and white stripes near the margin. The hindwings are plain fawn. The wingspan is about 0.9 cm. CSIRO Publishing, 2006, p. 458.